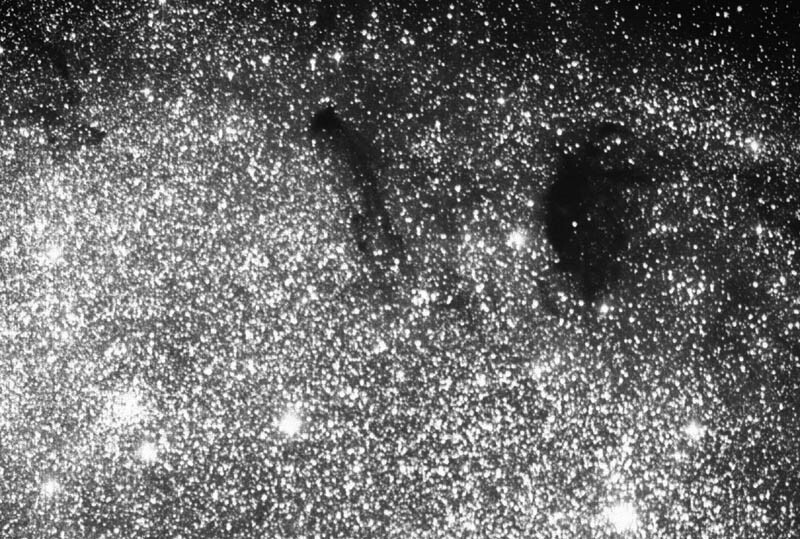 Martin Germano obtained this beautiful photograph of the dark nebulae Barnard 92 (right) and Barnard 93 (left) in the northern portion of star cloud M24. Also visible in the image, below and slightly right of B93, almost in the center of this image, is open cluster Collinder 469 (Cr 469). The more conspicuous cluster on the lower left is NGC 6603. 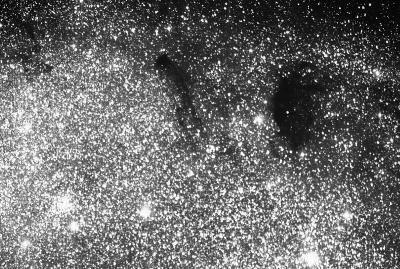 Martin has also taken beautiful images of Barnard 92 and Barnard 93 separately, as well as the NGC 6603 region.